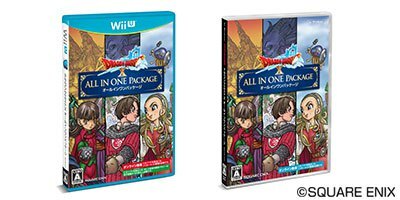 During the 2015 Tokyo Game Show this weekend, Square Enix announced the Dragon Quest X All In One Package for Wii U and PC. This features all three major updates created for the game up to this point. 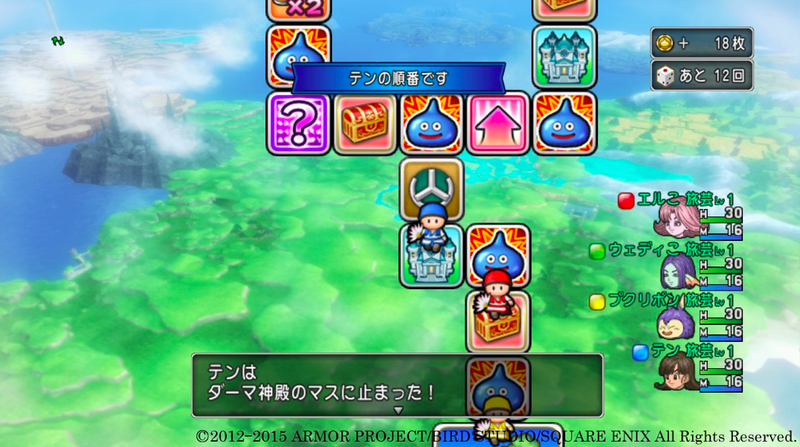 Dragon Quest X All In One Package is due out in Japan on December 3. Pricing is set at 4,800 yen. 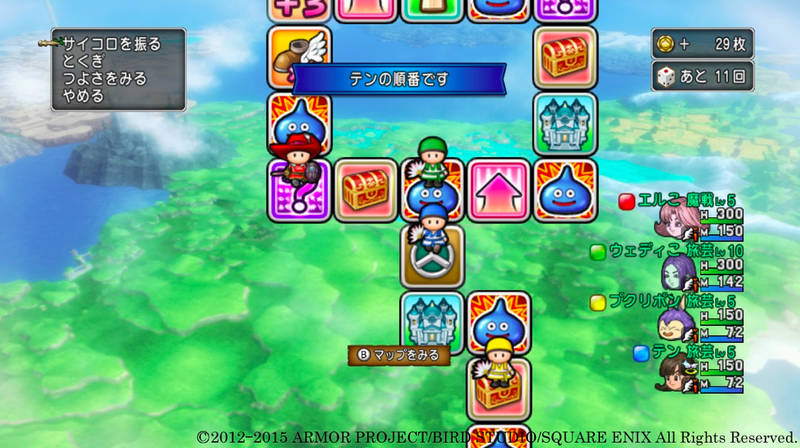 Last week, Square Enix announced the latest installment in the Dragon Quest franchise. The fact that the game is being released for PS4 and 3DS simultaneously was already a big enough surprise, but no one expected that Dragon Quest XI (and Dragon Quest X) would be announced for Nintendo’s NX as well. In a press release issued after the announcement, however, the wording changed from a “planned” NX release to a “considered” NX release. Looks like we’ll likely have to wait until an official announcement from Nintendo before we hear anything new about the NX versions of Dragon Quest X and XI. Update: Square Enix’s official press release says that when it comes to Dragon Quest XI, the company is “considering launching on Nintendo’s in development NX platform”. 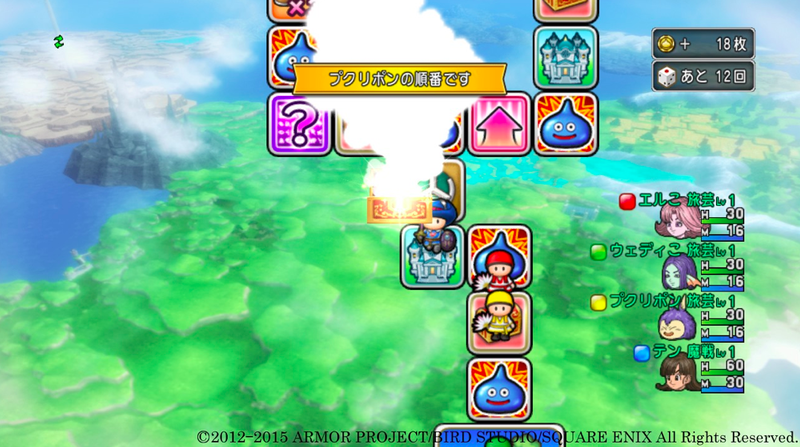 Dragon Quest X isn’t mentioned in the statement, though the same probably holds true for Dragon Quest X. It’s likely that both games will be formally confirmed when NX is revealed next year. 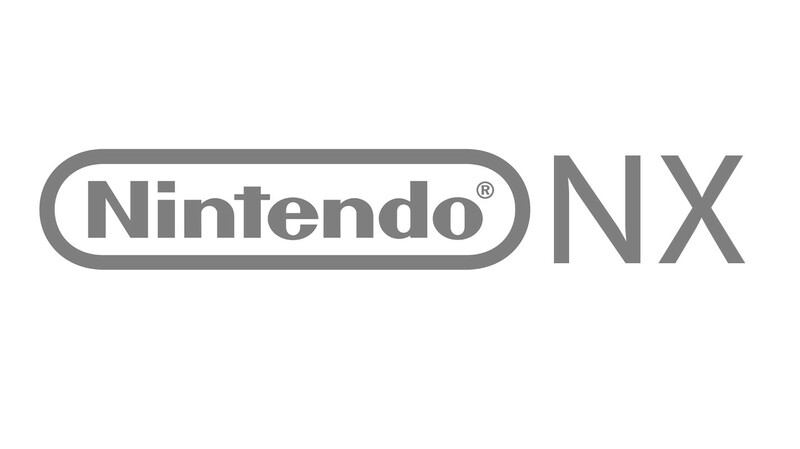 NX hasn’t been officially revealed by Nintendo yet, but the system already has a pair of game announcements. 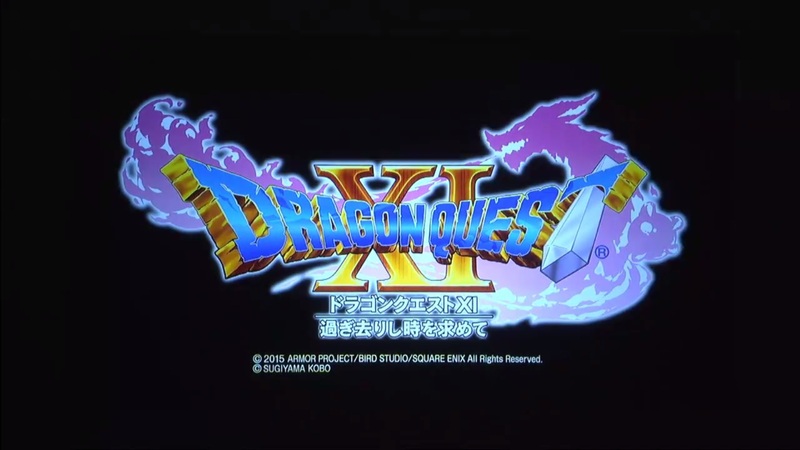 Square Enix confirmed during the “Dragon Quest New Title Presentation” today that both Dragon Quest X and Dragon Quest XI are coming to the system. 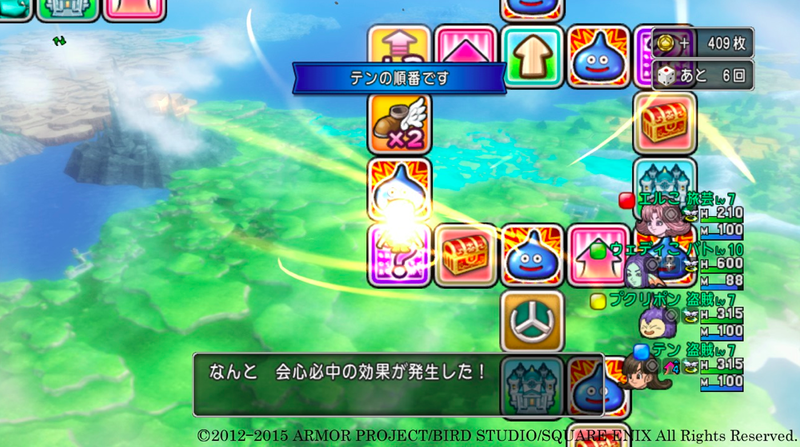 Square Enix hopes to have Dragon Quest XI ready to launch within the series’ 30th anniversary. Officially, that’s in May of next year. 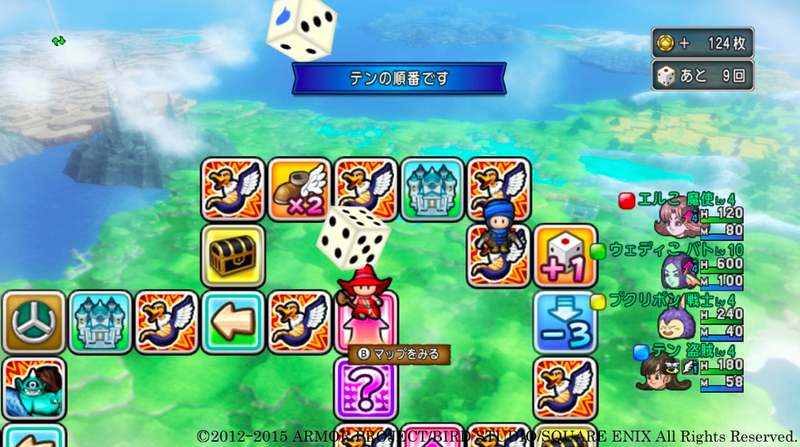 In the upcoming Dragon Quest X Version 3 releasing in Japan we will see a return of the Sugoroku mini-games. 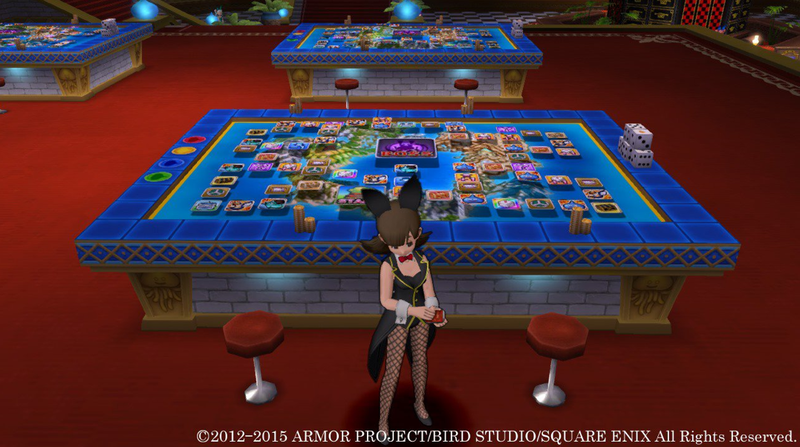 The mini-games will be playable in the Casino’s Bingo Hall area and can be played either solo or up to four players. In these games you will acquire coins that you can then trade-in at the Casino. – Hocus Pocus spell also has its own space. 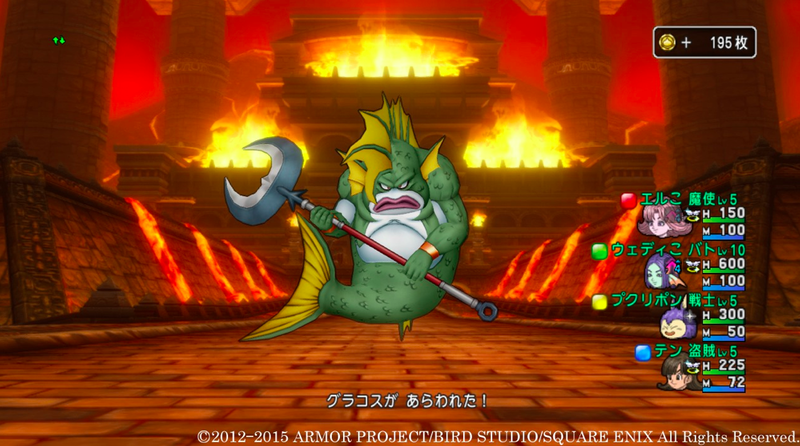 Square Enix has created a new Dragon Quest X collaboration that features an item from Bravely Second. Fans can obtain the flower Magnolia Arch wears. Getting the item is simple. 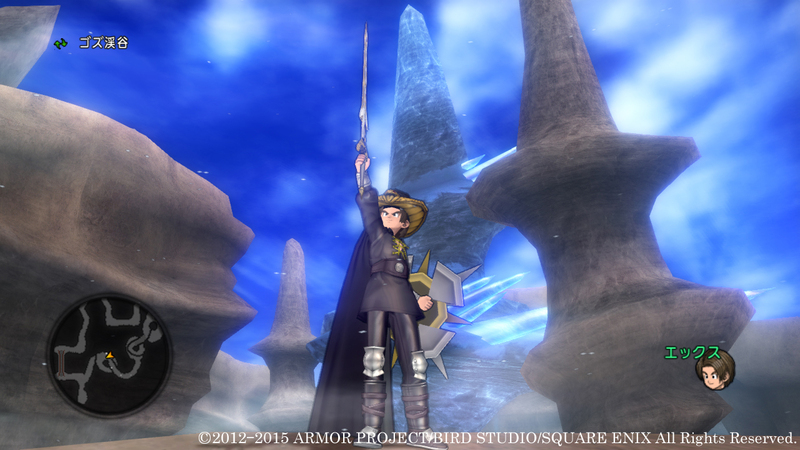 3DS owners need to play through the Bravely Second demo, open the Dragon Quest X Convenient Tool For Adventurers On the Go application, and select the option to receive a gift. 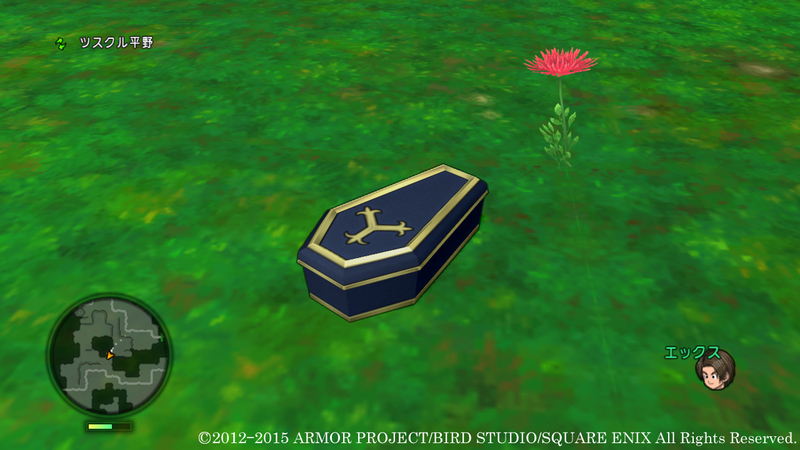 The flower will then appear in the Dragon Quest X post office. 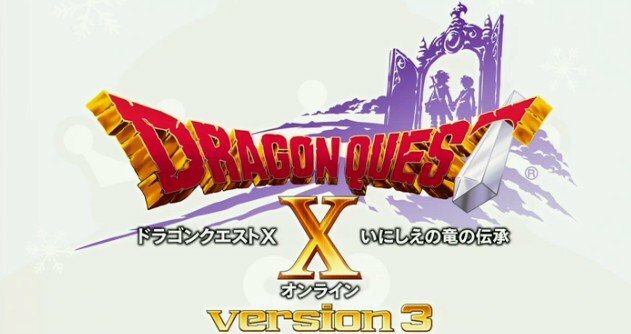 Square Enix has announced that Dragon Quest X: Legend of the Ancient Dragon Online (Dragon Quest X Version 3) is coming to Japan on April 30. 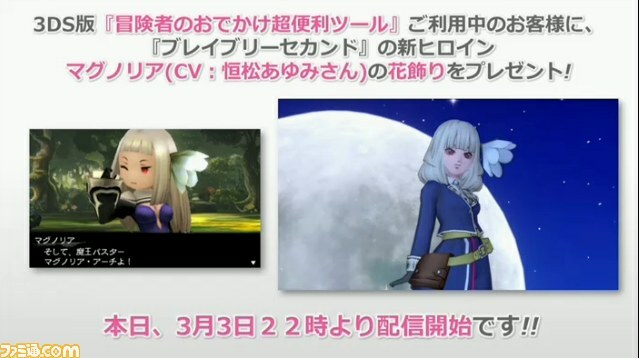 It will be available for Wii U, Wii, and PC. 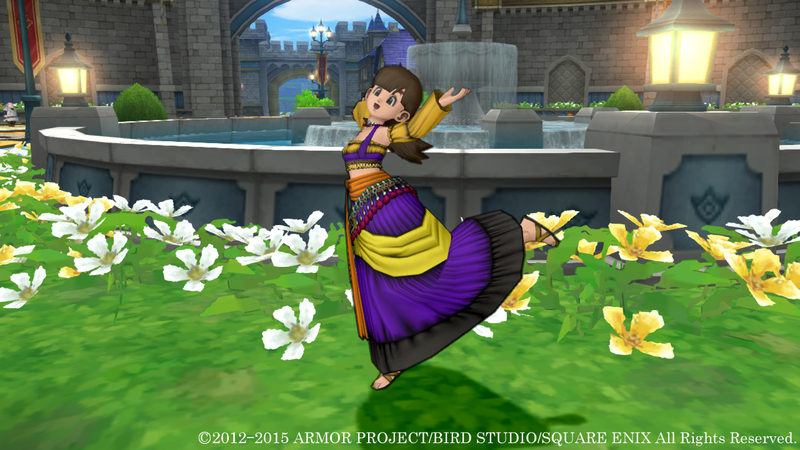 Dragon Quest X Version 3 will be seeing a retail release in stores. This packaged version will cost 3,800 yen. 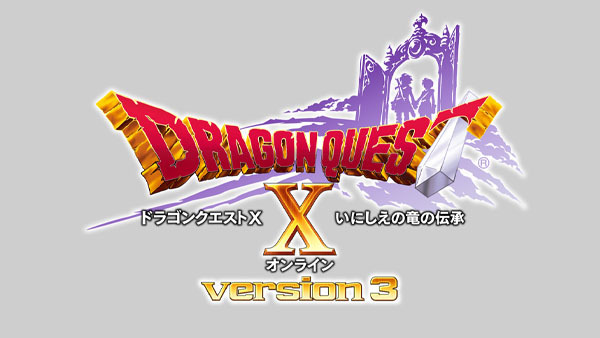 A downloadable version is also planned for Wii U.
Dragon Quest creator Yuji Horii won’t be directing Dragon Quest X Version 3. 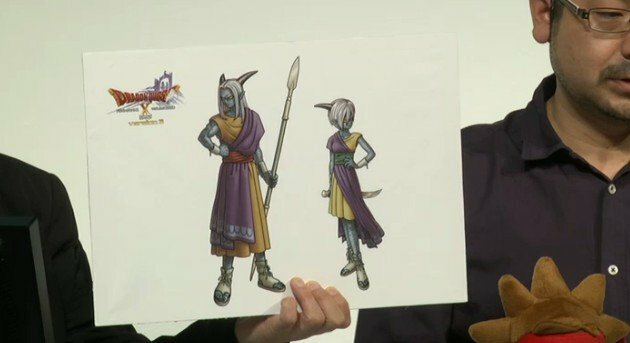 At Jump Festa, Horii explained that he’s “busy” working on the franchise’s next entry, Dragon Quest XI. It’s currently unknown who exactly is directing X’s upcoming expansion. 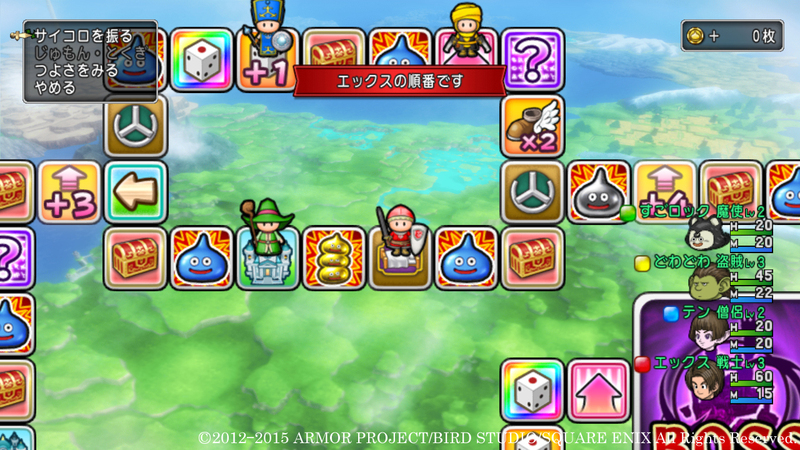 At Jump Festa 2015, Square Enix announced the next expansion for Dragon Quest X. Version 3 will be known as “Legend of the Ancient Dragons”. For the time being, Square Enix is mostly keeping quiet with regard to actual information. However, the company did reveal a new playable race: the dragon tribe. You’ll find a first piece of art showing the race below.